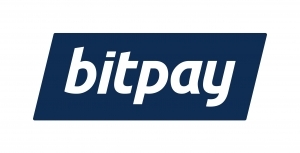 BitPay is the world leader in business solutions for Bitcoin digital currency offers bitcoin payment processing. BitPay offers an easy and cost efficient solution for many businesses who want to accept bitcoin, but don't have the tools to do so. Our customers include Gyft, TigerDirect, and the Sacramento Kings. Bluepoint Solutions is an innovator in Check 21, remote deposit capture, electronic document management and multi-factor identification software technology for financial institutions. 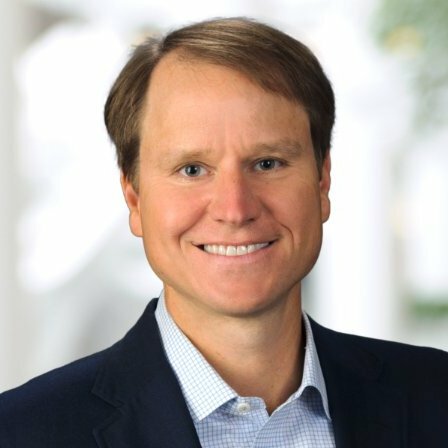 Bluepoint Solutions was acquired by Battery Ventures in July 2016. Connecture provides sales automation software to the insurance industry. The product integrates the customer's online and offline information, broker and agent channels and back office support by leveraging existing legacy systems. The results to the customer are increased sales, lower customer acquisition costs and reduced operating expenses. Connecture has worked with many industry leading health plans and insurance companies. Current customers include multi-state health organizations, such as Health Net and PacifiCare and mid-sized regional health organizations such as ConnectiCare and Health Alliance Plan. Sold equity interest to Great Point Partners, LLC. ControlScan delivers unified security and compliance solutions that help small and mid-sized businesses secure sensitive data and comply with information security and privacy standards. The Atlanta-based company supports business owners, franchisees and merchant service providers with technology, services, and expertise for PCI DSS, HIPAA and EI3PA compliance; vulnerability detection and penetration testing; risk monitoring and mitigation; POS, e-commerce and mobile security; unified threat management and more. ControlScan and EchoSat merged in May 2017 and will continue business under the ControlScan name. DoubleNet Pay helps employees create short-term savings, pay bills on time and repay debt. EquityLock provides millions of homeowners an affordable, effective home equity risk mitigation product, Home Price Protection (HPP), to protect the homeowner’s equity against a portion of a future market value decline. Establish HPP as the de facto standard for home equity protection and include in every residential mortgage similar to title insurance. The Company was shut down in 2015. Featurespace, headquarterd in Cambridge, UK, is the world leader in Adaptive Behavioural Analytics – delivered via the machine learning ARIC engine to monitor every individual customer in real-time. Our unique ARIC engine has many applications and is having huge impact on fraud prevention and customer management. Organisations and merchants in Financial Services, Insurance and Gaming are using Featurespace to catch new fraud attacks as they happen, accept more business and reduce operational costs. Ftrans, based in Atlanta, Ga., is the inventor of Trade Credit Express™. In cooperation with financial institutions, Ftrans provides businesses with a new B2B payments system which provides B2B sellers with all of the benefits of accepting a bank credit card for payment while still providing their B2B buyers with free and flexible credit terms. In addition, B2B sellers reduce their risk, minimize cost and free their time as Ftrans conducts the tasks involved with customer credit administration. As a result, businesses can focus their resources on more important items such as customers and growth. For banks, this payments system provides a safe business lending platform to increase lending, deposits and fees with existing and new customers. Green Dot (publicly traded NYSE: GDOT) is the largest issuer of reloadable prepaid VISA and MasterCard debit cards. Green Dot created reloadable prepaid cards to serve the more than 50 million Americans who can't get or don't want credit cards. They can load and reload their signature debit card conveniently where they shop, without the hassle of a credit check or bank account. They can shop wherever VISA/MasterCard debit cards are accepted and control their spending with a "pay now, buy later, without interest" premise. Green Dot completed a successful IPO in 2010.
iKobo Inc. is a financial services company that provides a secure, cost-effective, and convenient payment solution to individuals in the online international money-transfer and payment market. iKobo enables individuals to send money via the Internet and to receive money at over 750,000 ATMs and over 20 million Point-Of-Sale locations in over 170 countries by utilizing a debit card product. The Company was shut down in 2008. Interactive Advisory Software (IAS) offers a best of breed web-based wealth management solution for middle market wealth managers and financial planners. IAS's product encompasses all aspects of relationship management, client communications, financial planning, portfolio management and practice improvement into a single integrated platform that enables its customers to attract and retain profitable advisory relationships, streamline their practices, maintain high levels of service and client satisfaction, and consistently deliver exceptional client presentations. Interactive Advisory Software was acquired by Hanlon Financial Group in September, 2012. Magnet Communications is a leading software provider of web-based corporate cash management and business banking applications to financial institutions of all sizes. The company's banking service includes items such as ACH, money transfers, balance reporting, loans and lock boxes. Magnet targets the corporate customer base of financial institutions. A sampling of current customers includes: ABN AMRO, SunTrust, Harris Bank and Silicon Valley Bank. Magnet Communications was acquired by Digital Insight. Neovest develops proactive intelligent technology solutions designed to make equity traders and investors more productive. Neovest's products enable fast, efficient delivery of market data from multiple sources and drive real-time data analysis and decision support, creating a powerful equity trading solution. Neovest was acquired by J.P. Morgan Chase & Co. (NYSE: JPM). Scratch Pay offers simple and affordable payment plans for large veterinary bills. Apply for Scratch Pay and check your interest rate any time without affecting your credit score. Completing the application and accepting the loan terms takes just a couple of minutes and can be done from your cell phone or computer. Scratch Pay can help get your pet the care they need. 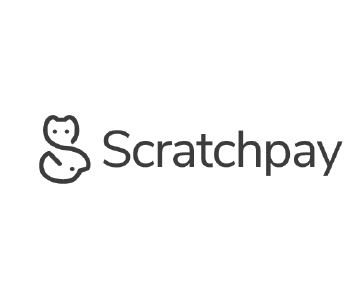 If your vet has not yet signed up for Scratch Pay, ask your vet to join Scratch for free. ShopKeep exists to make running a small business better. Founded and designed by a small business owner, we provide cloud-based point of sale software for managing retail shops and restaurants. ShopKeep allows business owners nationwide to set-up their registers in minutes, accept cash and credit cards with their choice of processor, view real-time sales on their smartphone and easily track inventory and staff. Most importantly, our award-winning customer care team is available to help seven-days-a-week. Everything we do is about supporting small businesses. 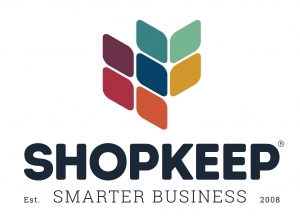 Visit www.shopkeep.com to learn more or follow @ShopKeep. 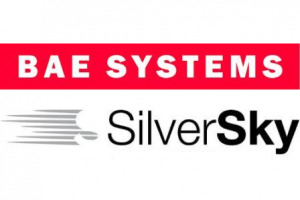 Silversky is a BAE Company. We deliver solutions which help our clients to protect and enhance their business operations in the connected world. Our solutions combine large-scale data exploitation, 'intelligence-grade' security and complex services and solutions integration. Leading enterprises and government departments use our solutions to protect, secure and optimize their physical infrastructure, mission-critical systems, valuable intellectual property and corporate information, and enhance their reputation and customer relationships, competitive advantage and financial success.